At the Chicago Auto Show last week, The News Wheel attended MotorWeek’s presentation of the 2014 Drivers’ Choice Awards. On the way over to the ceremony, we reflected on the nominees and who we thought would win. We pondered, that is, until we saw one name on the list. And then, almost unanimously, we agreed that there was almost no possibility for another choice. That name that stopped us in our tracks: the eventual MotorWeek Best of the Year, the 2014 Corvette Stingray. 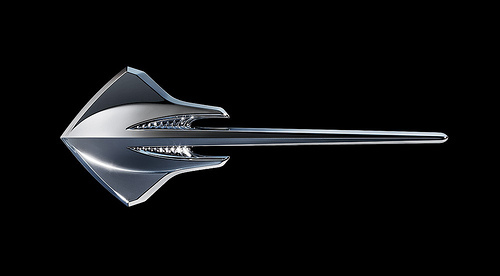 Even the Stingray’s logo will make you do a double take. 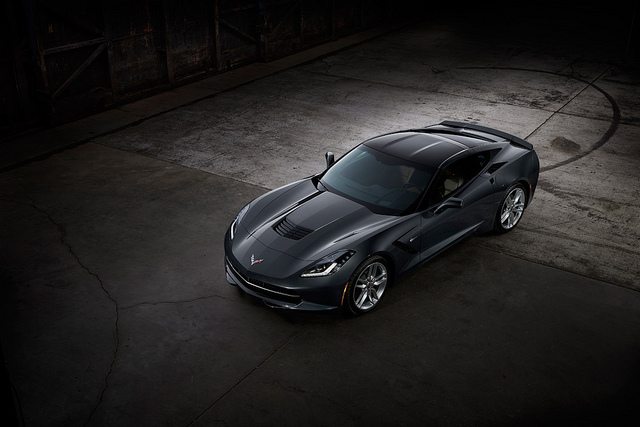 The Stingray continued its winning ways only weeks after being named the North American Car of the Year in Detroit, crushing its competitors beneath its tread once again on the way to winning top honors in the annual Drivers’ Choice Awards. MotorWeek cited the Stingray’s “exotic performance, for far less than an exotic price” as well as “eye-catching exterior design, high tech substances, honest quality, and lofty performance” as reasons for its victory. By this point, if you aren’t fully aware of what puts the Stingray in a class all its own. Also contributing to the Stingray being named MotorWeek Best of the Year was the Z51 Performance Package, which adds an aerodynamics package, track-tuned suspension, dry sump oiling, and electronic limited slip rear differential. So nice is the 2014 Corvette Stingray, MotorWeek honored it twice: the car of everyone’s dreams was also named Best Performance Car, because obviously. Everybody loves an underdog story. David v. Goliath, Truman v. Dewey, Lennie and George v. the world in Of Mice and Men. We hate to break it to any other vehicle hoping to trump the Stingray in a major automotive award for the foreseeable future: sometimes, the favorite is the favorite for a reason. For more information from the Chicago Auto Show, as well as more on the other winners from MotorWeek’s 2014 Drivers’ Choice Awards, check in with us at The News Wheel as the week rolls on.